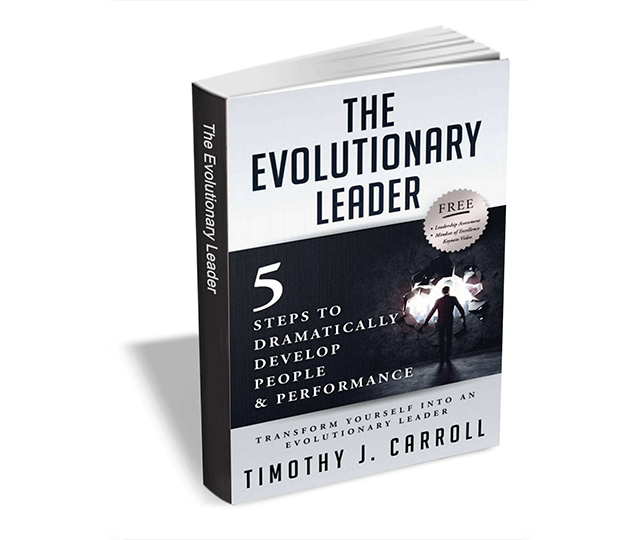 In The Evolutionary Leader, Timothy J. Carroll, a world class athlete and consultant to Fortune 500 companies, shares 5 practical steps to dramatically develop people and performance. What are the secrets of how human beings work? How do you use these to help others and yourself perform consistently? What can you do to liberate yourself from self-limiting programming? How do you own, manage and deal with emotions for peak performance? What are the secrets to being super present and calm? How do you take your health and performance to the next level? Transform yourself into an evolutionary leader and boost your team and individual performance. The Evolutionary Leader usually retails for $9.95, but BetaNews readers can get it entirely free for a limited time. The offer expires on October 24, so act fast.